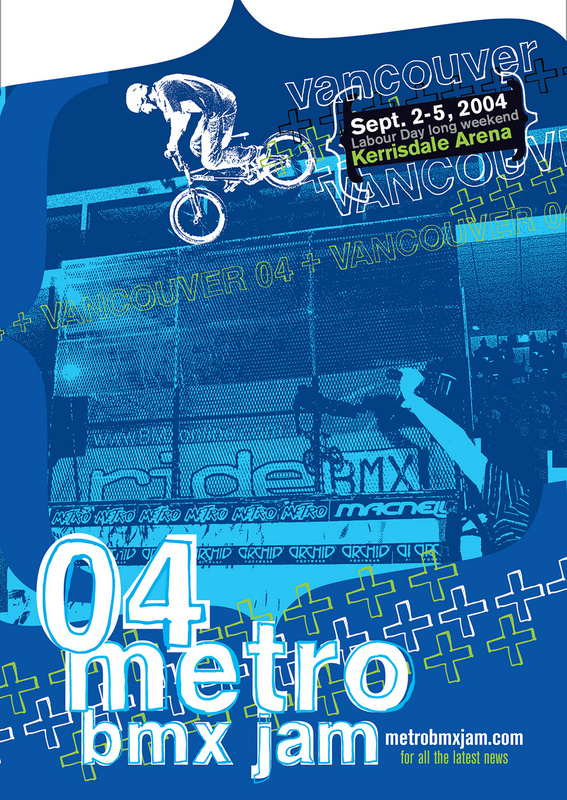 2004 Vancouver Metro Jam ad published in RideBMX Magazine, featuring Gary Young. 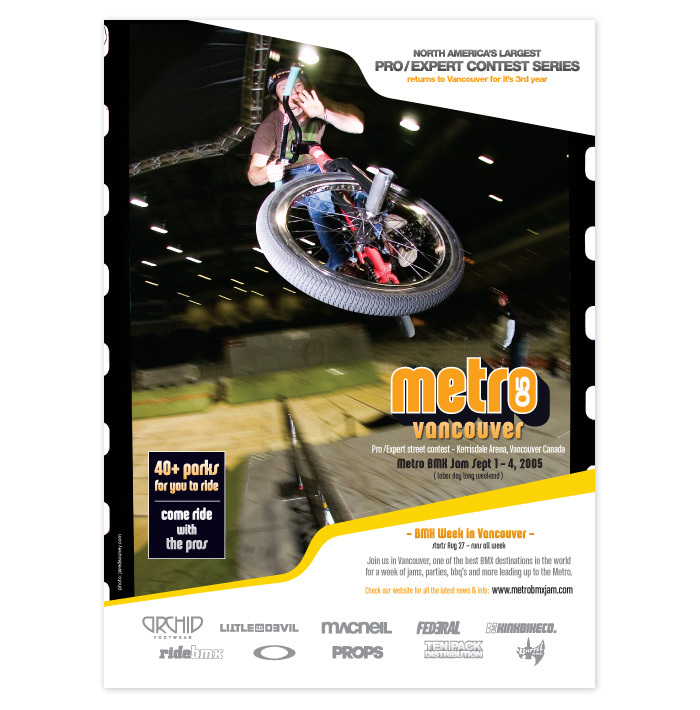 The Metro Jam contest series was one of the most anticipated street contest events of the calendar year, drawing many of the world’s top professional BMX riders. 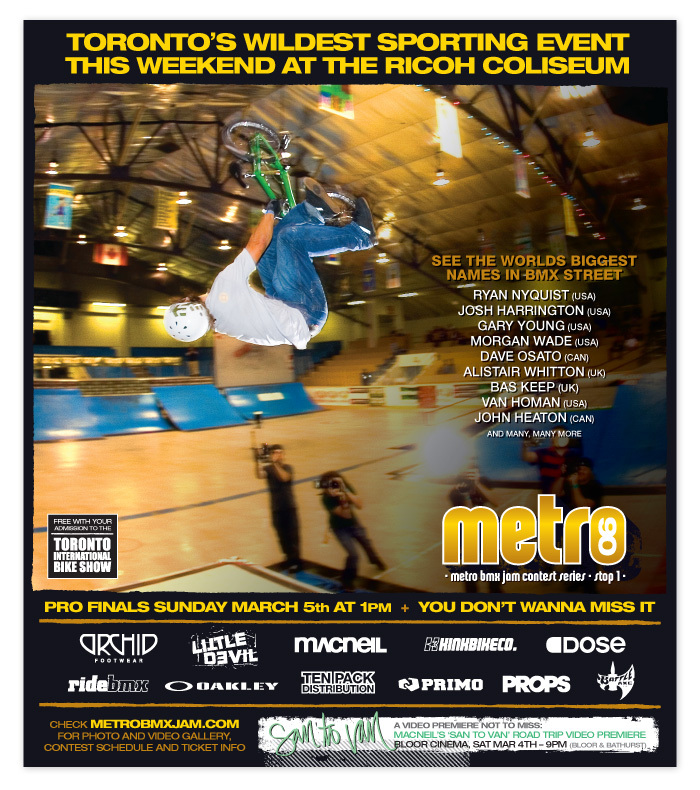 The Metro Jam was most proud of pulling in pro riders that had shied away from contests once the large TV contests like the X-Games had tarnished the competitive scene for the most core riders. 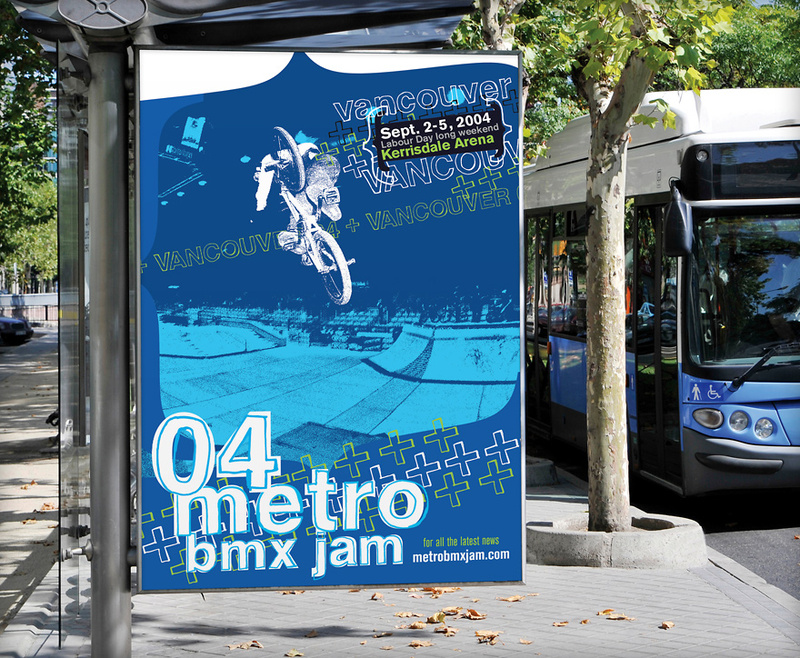 2004 Vancouver Metro Jam contest bus shelter ad featuring Gary Young. 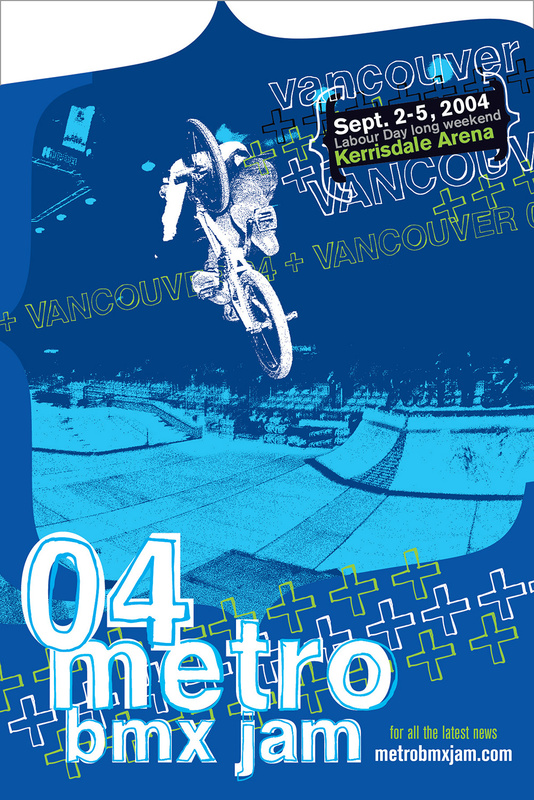 2004 Vancouver Metro Jam ad published in RideBMX Magazine, featuring Dustin Guenther. 2004 Vancouver Metro Jam 4″ x 6″ postcards, featuring Gary Young. 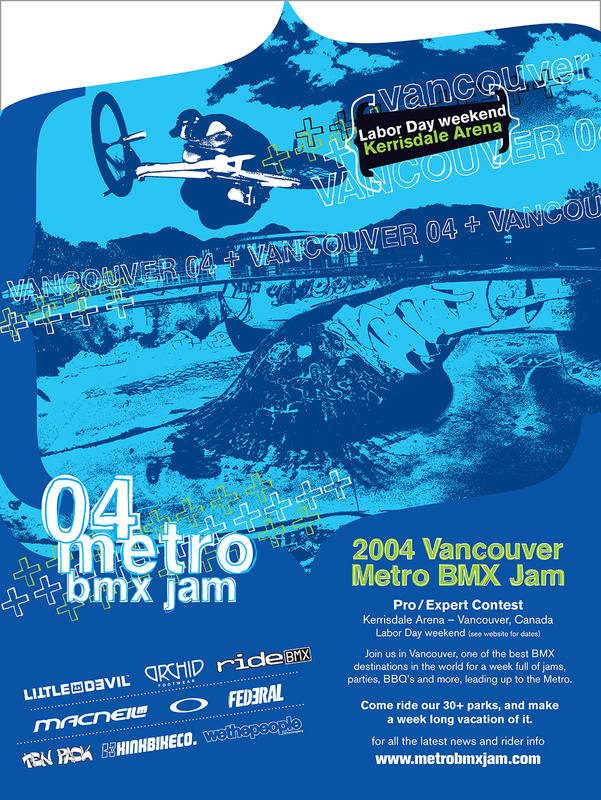 2004 Vancouver Metro Jam 4″ x 6″ postcards, featuring Dustin Guenther. 2004 Toronto Metro Jam ad published in RideBMX Magazine, featuring Justin Inman. 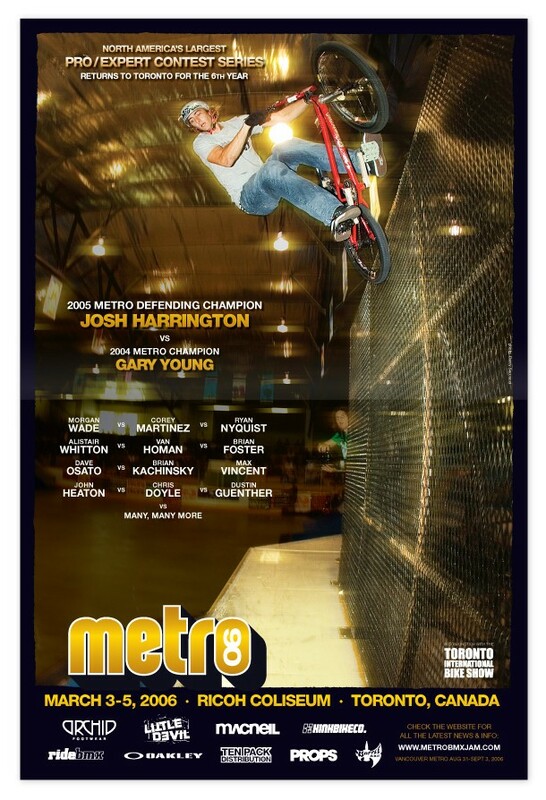 2006 Toronto Metro Jam ad published in RideBMX Magazine, featuring Josh Harrington. 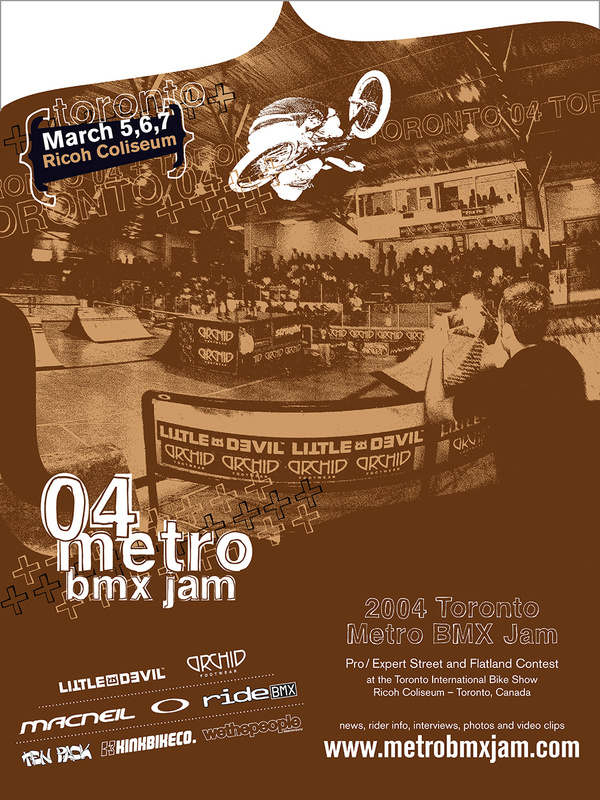 2006 Toronto Metro Jam ad published in the print version of Dose, a nation-wide tabloid magazine as part of a sponsorship package. 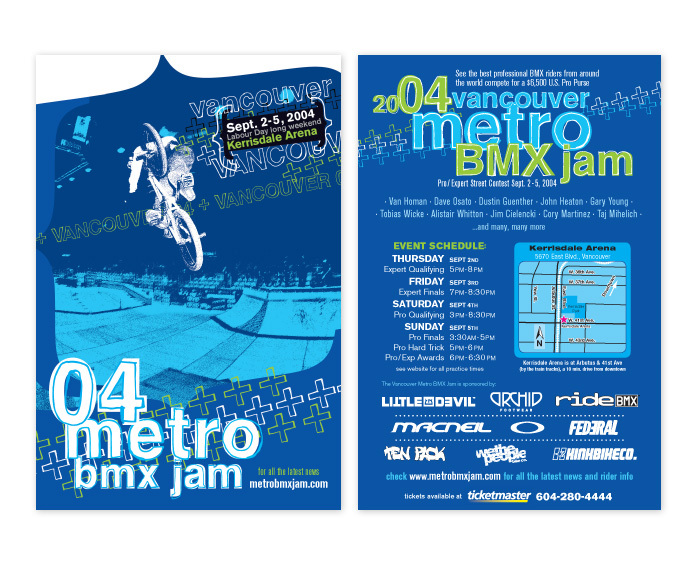 2005 Vancouver Metro Jam ad published in RideBMX Magazine, featuring Bruce Crisman. 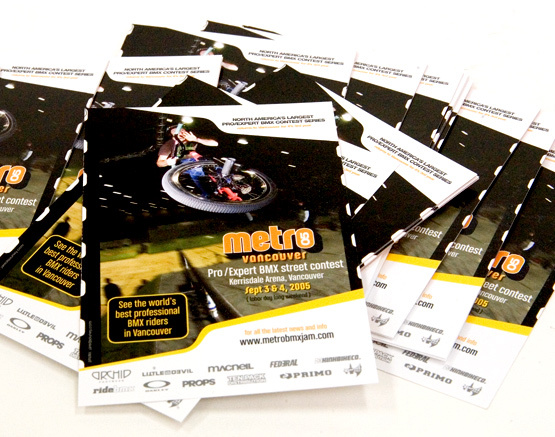 Promotion 4″ x 6″ postcards for the 2005 Vancouver Metro Jam. Props Video Magazine extended coverage of our 2005 Toronto Metro Jam. 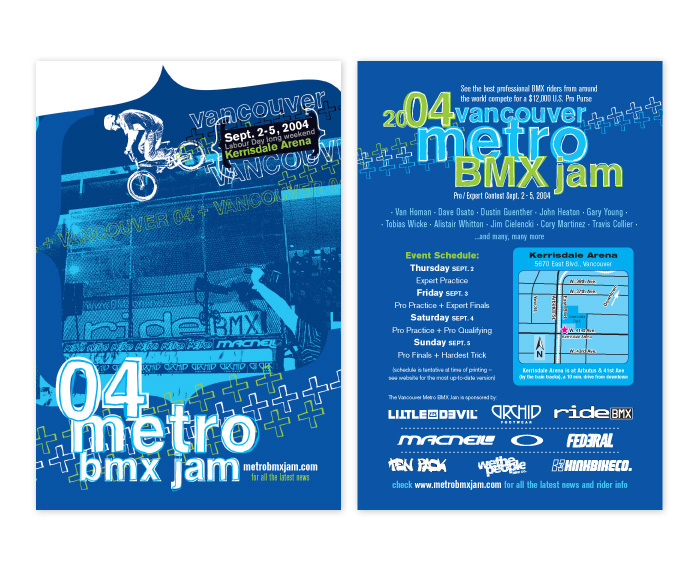 See also Metro Jam Contest logos, Metro Jam Contest T-shirts as well as Metro Jam videos – Metro Promotional video and Pro Highlights video. See all items tagged with ‘Metro Jam’.